Modern and practical, unique and simple! 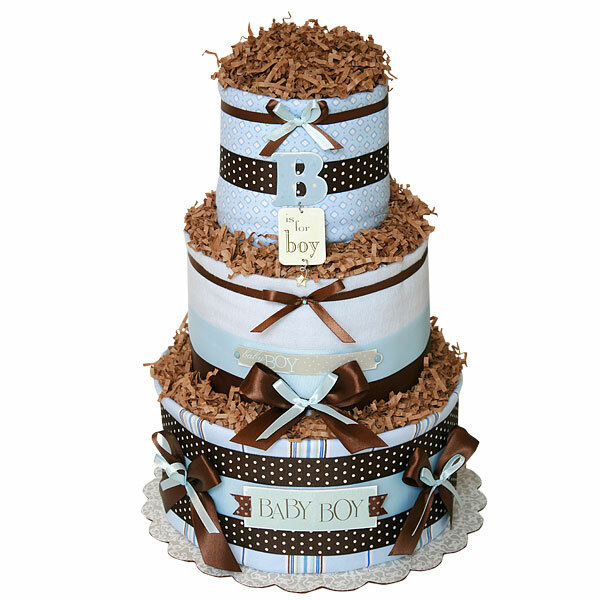 Three tiers Chocolate Blue Diaper Cake is made of 45-50 Pampers Swaddlers diapers size 1 (8-14 lbs. 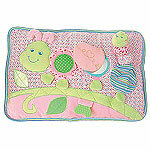 ), Three flannel receiving blankets 100% Cotton (patterns may vary from the picture), lots of bows and Scrapbook embellishments. The diapers are held together by elegant ribbons (no glue on diapers). Decorated with bows and chocolate crinkle paper. Ribbons are hand-stitched with white embroidery floss on the back of the cake, allowing for a clean, handmade look.